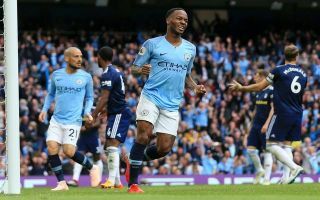 Raheem Sterling completed the scoring for City this afternoon as the defending champions brushed aside newly-promoted Fulham. Sterling scored City’s third of the afternoon only 98 seconds into the second half, Fulham quite simply couldn’t deal with the attacking ability of City. Sergio Aguero had the ball in the wide ares and after beating his man he looked up and found Sterling with an inch perfect cross, all the England international had to do was tap home to set City on the way to another victory this season. Sterling’s goal this afternoon was his 3rd of the season so far, Sterling looks set to become a key goalscoring threat once again for City this season. Sterling scored 18 goals last season en-route City winning the Premier League title in magnificent style.